The pleasure gardens at Cremorne were the kind of mass entertainment enjoyed by Londoners in the mid-Victorian period. There was still something of the 18th century about them, something a little anarchic and risky, not to mention illicit. Cremorne lost its licence because of perceived or actual immorality. But the appetite for spectacle and large-scale attractions hadn’t vanished, it had simply moved onto newer forms of entertainment. The Earls Court Exhibition owed its existence to chance. A triangle of empty land had been created by a confluence of railway lines. One developer tried to build a Catholic Public School there but was defeated by financial problems. There was another scheme for housing, but even in the 1880s developers could see that the land was not especially desirable for that purpose. Finally John Robinson Whitley came up with the idea of the Exhibition. He had intended to put on an American Exhibition showing goods and products along the lines of the Great Exhibition and its successors such as the British Colonial and Indian Exhibition which took place in South Kensington in 1886. He postponed his opening for a year because of that event and many of his partners dropped out. This worked to his benefit. 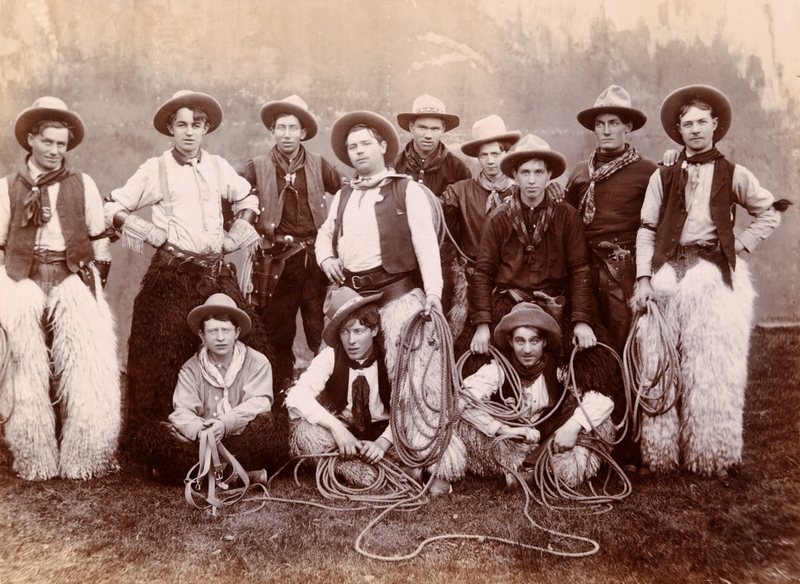 That year he went to Washington to try and interest President Grover Cleveland in the project, and while he was there he saw Buffalo Bill’s Roughriders and Redskin Show. He booked them for Earls Court’s first season and changed the nature of the Exhibition completely. The troupe performed in the original triangle of land accessible from Warwick Road. An open arena and stand were created for them. A second area accessible from Lillie Road and by bridge from the grounds contained a single long exhibition building. 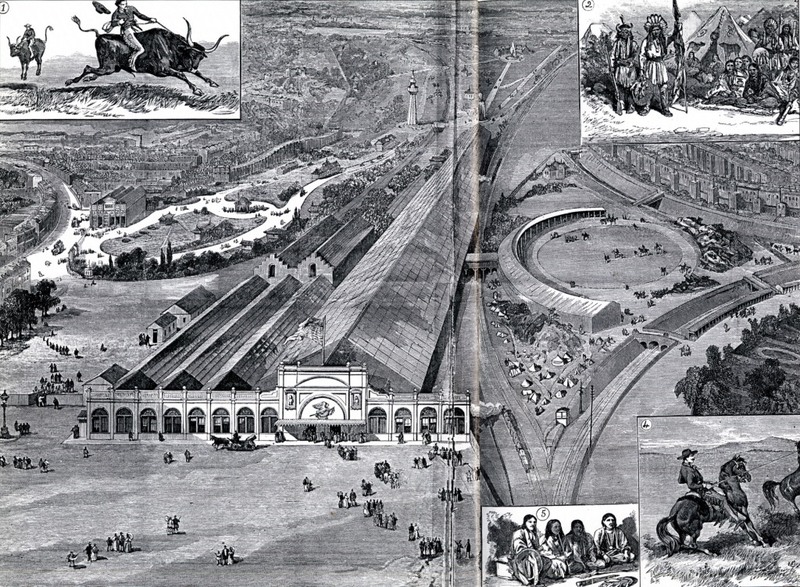 This was connected to a third area where there was a pleasure gardens with a switchback railway, a toboggan slide and a large bandstand. The shows introduced the idea of the Wild West into public consciousness, in this country at least. 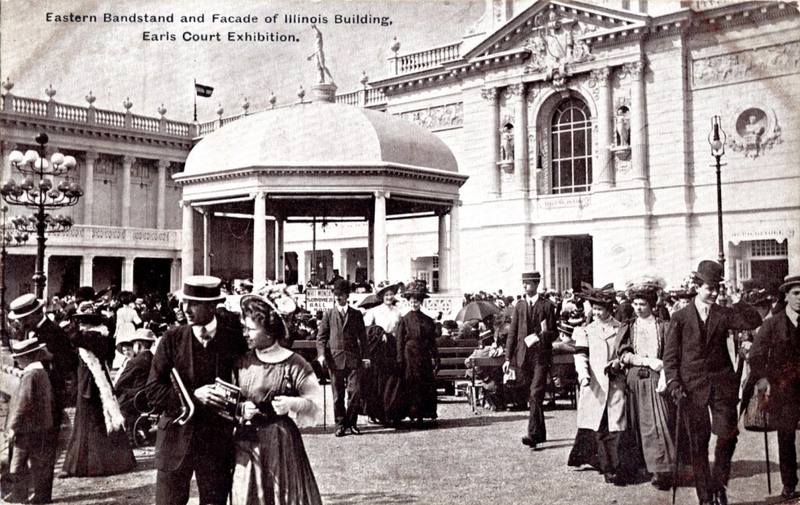 The shows were immensely popular and were even visited by the Queen, the Prince and Princess of Wales and William Gladstone (then in opposition, so he must have had some time on his hands). 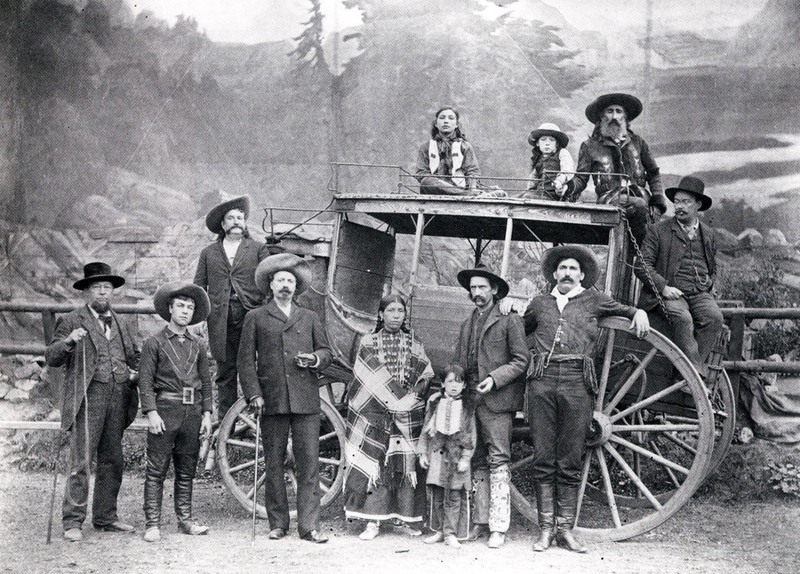 You can see from the programme that the show contained all the familiar tropes of the Wild West – Indians attacking the stagecoach, gun battles with cowboys, the Pony Express – but also had a more rounded view of Native American culture such as buffalo hunting and village life on the plains. Not to mention Cossacks and Gauchos. 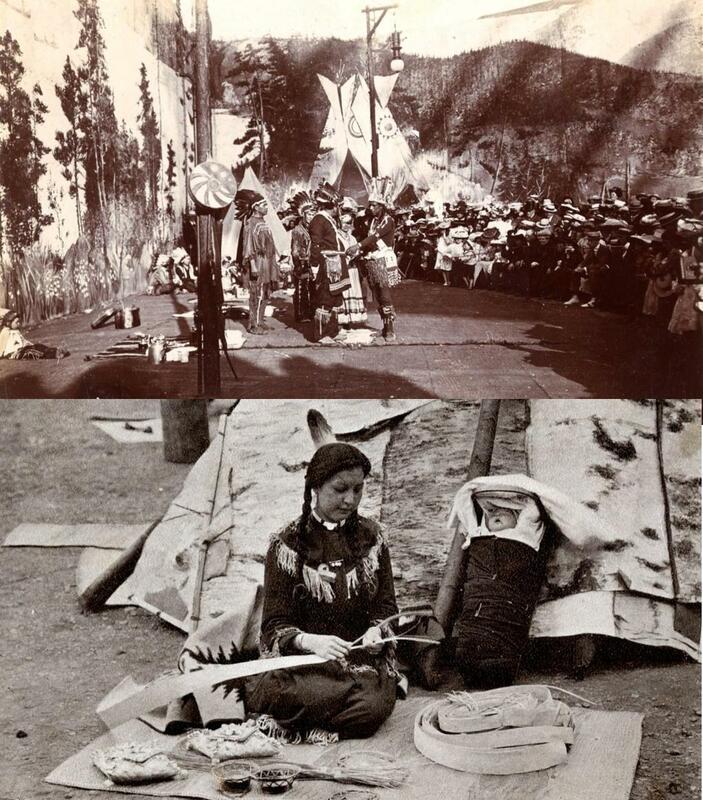 (These two images are from one of the later shows). 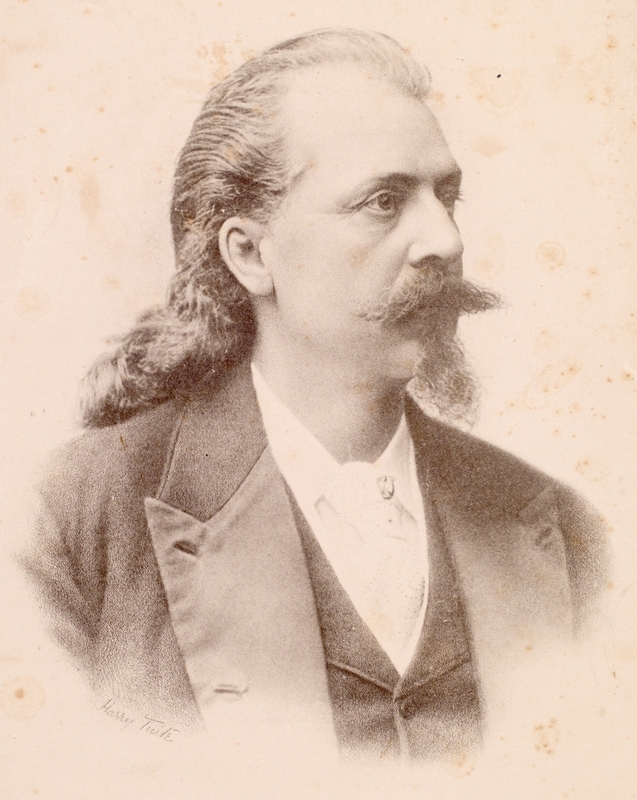 William Cody himself of course had become a fully fledged media figure. 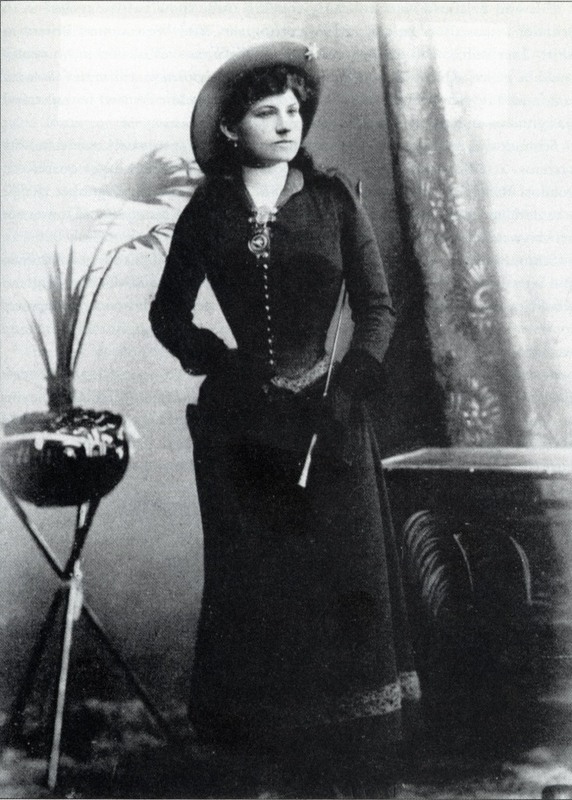 Along with Annie Oakley who fell out with Cody after the first shows but returned later having established herself as a star in her own right. 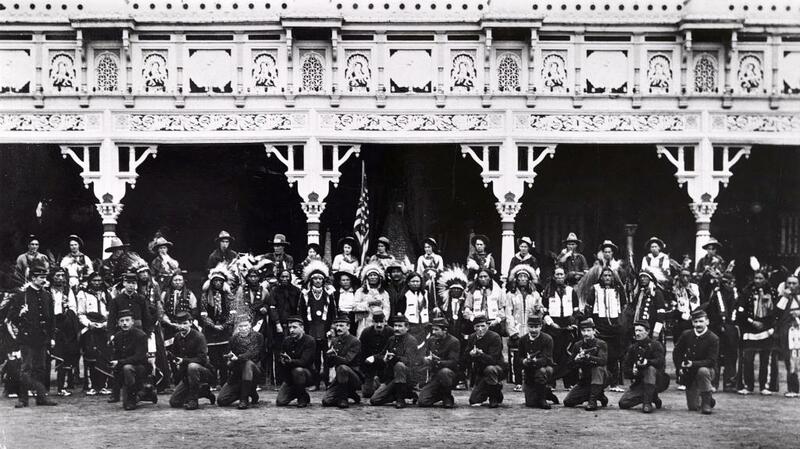 The other well known name from Buffalo Bill’s show was Long Wolf, an Oglala Lakota Sioux warrior who had originally joined the show as part of a group of prisoners of war turned over to Cody by the American War Office. 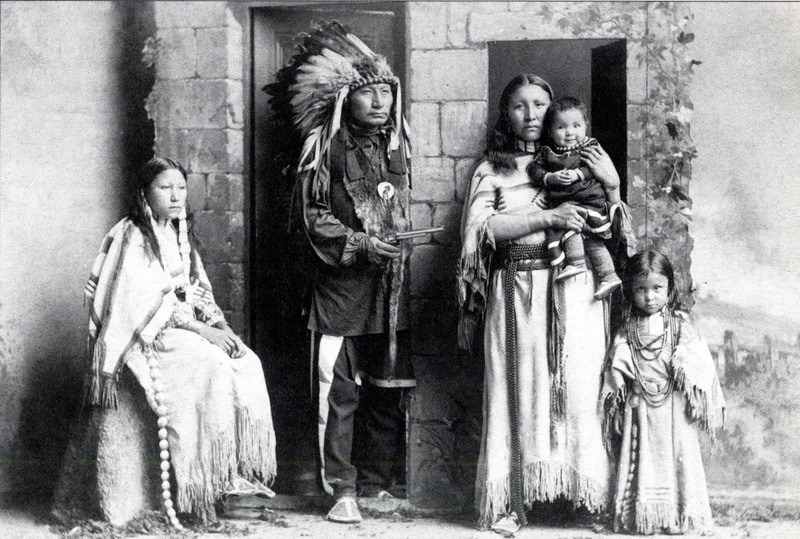 Long Wolf and his family stayed with the show and came back to England in 1892 but the Chief caught scarlet fever on this visit and died at the West London Hospital in Hammersmith. His doctor had the macabre name of Maitland Coffin. Long Wolf was buried with due ceremony in Brompton Cemetery. The design on his headstone was based on a drawing he made on his deathbed for what he hoped would be a temporary resting place. He was right. Although he lay amongst strangers for a long time his remains were disinterred in 1996 and moved to a burial place in his ancestral lands. The heyday of the first Exhibition was as brief as Cremorne’s. By 1914 the Wild West shows had departed, the Great Wheel was demolished and the grounds were being used as a camp for Belgian refugees. The new Exhibition was 20 years in the future. But we can still remember the days the Wild West came to West London. This picture is of the Deadwood Stage. Now where did I put that Calamity Jane DVD? 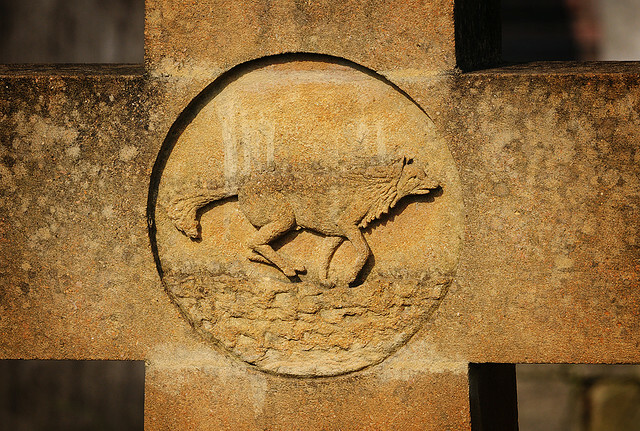 This entry was posted on Thursday, September 27th, 2012 at 12:16 am	and tagged with Brompton Cemetery, Earls Court Exhibition, Long Wolf, photography and posted in 19th Century, 20th Century, Earls Court. You can follow any responses to this entry through the RSS 2.0 feed. 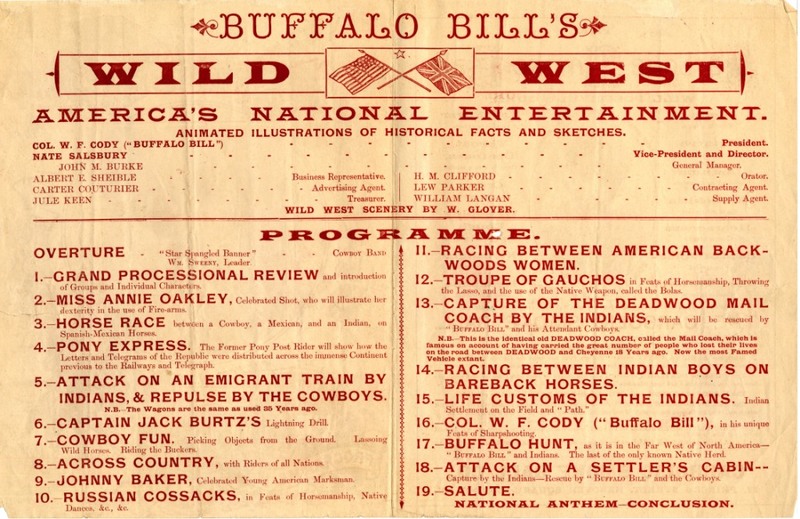 Thank you for this article on Buffalo Bill’s Wild West show, I found it most informative. Would you have any further information please, on the times that these shows would have run during the day, and their duration? Thank you for this article! I’ve been searching for images and information on the venue for the Wild West show for some time and was excited to come across this post. I am also interested in knowing the answer to the questions asked by Derek O’Brien if possible. 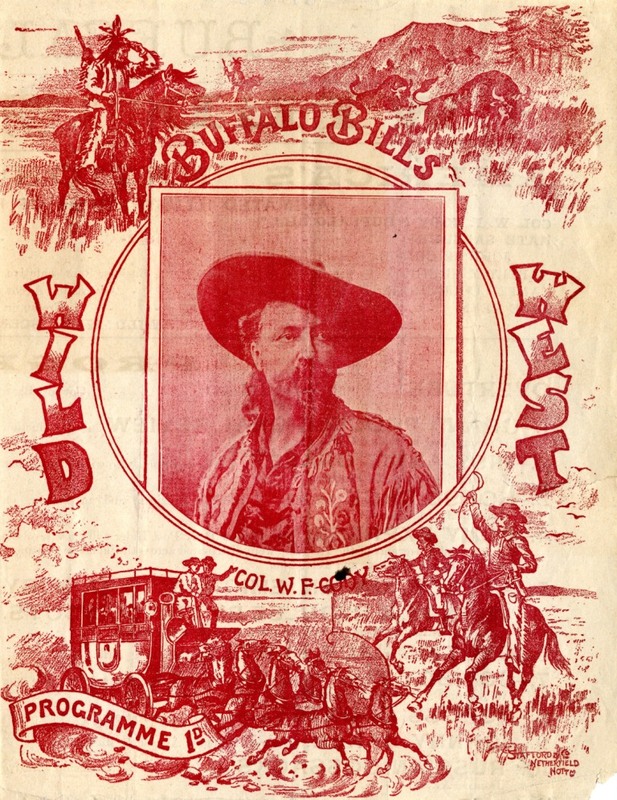 We have a copy of a programme from one of Cody’s wild west shows which lists 19 items including re-enactments and demonstartions of horsemanship and sharp shooting but it doesn’t give any timings.